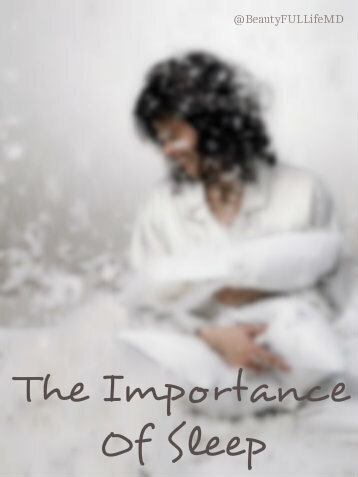 Okay, most of us know that sleep is important. Since we were young children we heard that we have to sleep (especially when we put up fights against bedtime). To grow, to learn better in school, to function during the day. But sleep can be hard to come by in grown up life with so much going on. School, work, life. I always highly valued my sleep, even all throughout college. I was never a night owl, and there was pretty much no such thing as all night cram sessions for me. I never worried enough for it to come to that (I crammed, don’t get me wrong, but I just hardly ever lost sleep over it). Then came med school and all of that changed. It was definitely….a different ball game. All together. A new world. A higher level. And at this level, there was almost no sleep involved. And when there was, it hardly happened at night. It was during the day, between classes….in classes even at times depending on what was happening that day. Okay…I’m exaggerating just a tad bit. Guys, I didn’t sleep in class. I’m not saying I’ve never nodded off. But I never took full naps. This no sleep business mostly happened during exam blocks when there was truly no sleep at all (mostly because I sometimes didn’t feel prepared, even if I was). Other than exam time, I still valued my sleep above all. What can I say, I loved my naps and my bedtime. You would not catch me awake at 3am studying hard during the regular school days. Anyway, maybe I’ll do a post about how to make sure you can catch those Z’s during exam time in the future. This post is about why you should make it a priority to get your sleep. And not only during regular days, but especially during exam times. The older I get, the more I realize my parents were right about most things. Even if they didn’t know exactly why, they were right, and knowing how important sleep is, is common knowledge for good reason. Here are some of the ways sleep (or lack of it) affects us, why it’s so important, and also how to get the best sleep ever! The body needs sleep to repair your body’s cells from damage done all throughout the day. Muscles, blood vessels and organs all use this time and semi shut down that happens during sleep to replenish what could have been lost and build up what needs to be built. Sleep deficiency has been linked to all kinds of things that I’m sure we all want to avoid such as heart disease, diabetes, high blood pressure, stroke, and others. Our immune system needs sleep to stay in top shape to keep you from getting sick. In addition to this, sleep maintains normal hormone balance which dictates so much of our normal body functions and chemistry. Of course we know that sleep is essential for growth and development, but on top of all that, it’s functions to help us recover and repair our bodies are of course essential. What if you build a house? Okay, that’s all well and good, but if repairs aren’t done as needed it will eventually fall apart. Sleep is the remedy for our body. Everyone can attest to the difference in getting a lot of sleep and being sleep deprived. There is a big difference, and the way we feel and act is affected by how well rested we are. And of course, sleep can affect how well we learn as well. Lack of sleep can lead to mood swings, irritability, and even depression and lack of motivation. Sleep is the time our brain uses to form new connections and really learn and retain information. Sleep is important in school although it can be the hardest thing to come across if you’re not careful. It’s no secret that a sleepy person has slower reflexes. Not only that, but their decision making and problem solving power is decreased. You don’t even have to feel all that sleepy. Even losing just 1 or 2 hours of sleep can mess with how you function. Maybe you won’t be able to decide between answer ‘a’ or answer ‘d’ on a test (and I know all you med/law/grad/nursing/hish school, etc students, do not have time for that kind of mess). Maybe you can’t pay attention in class, or during a test (I would know). Maybe you may have a slower reaction time while back out of a driving space. Lack of sleep can be a hazard to safety. It’s been shown and proven in all parts of life that quality sleep is essential. That light from your computer, phone or tablet is preventing your brain from getting into sleep mode. A quality sleep session begins a bit before you even fall asleep. Do a routine and stick to it. This way your body knows it’s bedtime and falling asleep is faster and easier. We are not nocturnal creatures. Our natural rhythm is to sleep at night and be awake during the days. Its how we were made to function. Sleeping all day and being up all night is not a good alternative. The best thing is to get as many hours as possible before midnight and onward, for example, sleeping from maybe 10pm till 6am is pretty good. Because we need sleep at night, it goes to follow that any light can disrupt our sleep cycle and mess with the quality of our rest. Light from a television, or streetlights can make your sleep less productive. A small nightlight is okay, but anything more harsh will not work in your favor. Sleep is important not only for students, but also for everyone else as well. So make time to have good quality sleep! It will make your days much easier and productive and improve your health and wellness.